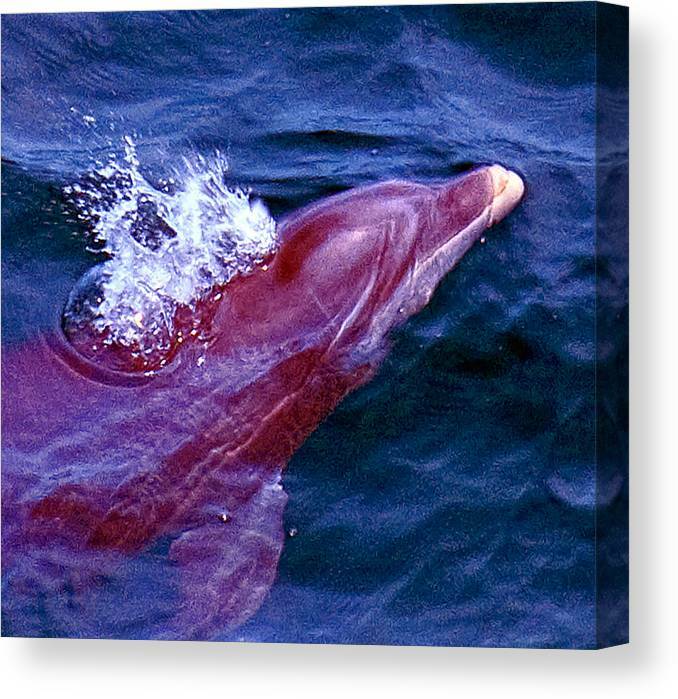 Dolphin In The Gulf by Bill Perry - 8.000" x 7.375"
Dolphin In The Gulf canvas print by Bill Perry. Bring your artwork to life with the texture and depth of a stretched canvas print. Your image gets printed onto one of our premium canvases and then stretched on a wooden frame of 1.5" x 1.5" stretcher bars (gallery wrap) or 5/8" x 5/8" stretcher bars (museum wrap). Your canvas print will be delivered to you "ready to hang" with pre-attached hanging wire, mounting hooks, and nails. 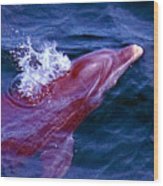 There are no comments for Dolphin In The Gulf. Click here to post the first comment. A large Bottle Nose Dolphin swimming near an offshore gas platform in the Gulf of Mexico.